Findings from a survey by ICANN have shown that 95% of internet users consider ccTLDs a trustworthy format, in regions where they are regularly used. 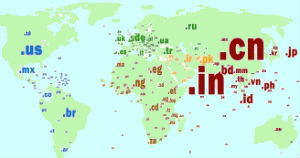 Following ICANN’s recent introduction of more gTLDs, country-specific domains have since been considered in decline when it came to usefulness, however, the high score they have achieved may lead to changes in how they are viewed. The full report, which came as phase two of a long-term paper, also revealed that 52% of the 5,452 consumers questioned were aware of new gTLDs, but that visits to them had decreased by 10%. Also reported was that consumers’ expectations of a site changed if it had a new gTLD, and that they expected the pages to reflect it. Akram Atallah, president of ICANN’s Global Domains Division, said he encouraged community members to review the report, to learn more about the current market. Nescafe is making the move to launch a global marketing campaign on Tumblr. Following the decision to move its entire portfolio of websites away from dotcoms to the social media site, it will form the basis of Nescafe’s first global campaign. Nescafe’s head of global integrated marketing, Michael Chrisment, said that the move was already proving to be a success, after it had seen a 30% increase in traffic month-on-month. He also said that 200,000 US dollars’ worth of sales had already come directly through the new site’s ‘buy now’ button. Following Apple’s record-breaking poor earnings in the first quarter of this year, it has now fallen to fifth place in China’s smartphone market. After beginning the year so poorly, Counterpoint Research has revealed that Apple’s iPhone now only makes up 10% of smartphones sold in the country. This is down from 12% last year, with Chinese company Huawei continuing to lead the way, followed by other local brands Vivo, Oppo and Xiaomi. Oppo’s market share of 11% is almost double where it stood last year. With Apple’s iPhone 7 due to be released globally in the coming months, it does have an opportunity to gain back lost ground, but with more affordable local brands taking up the top four positions, the American company has to hope that the new model will encourage Chinese smartphone users to pay more. 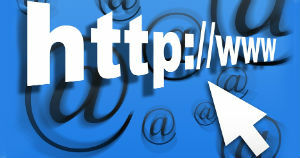 Global Web Index has revealed that 36% of 16 to 24 year olds now use social media to research a product. The survey, from across 34 countries, showed that whilst search engines remain the top choice for young people, more and more are turning to social networks. Due in part to Pinterest recently launching a new visual search button to assist users in finding what they would like to buy, and other social sites having similar features, youngsters are now encouraged more than ever to use social media to research items. This growing number of people under 24 using social media for research is also accompanied by data showing how they are way ahead in how many research brands on micro-blogs and online pinboards, where they over-index by 30% and 20% respectively. And finally, Prada has begun selling goods online in Europe for the first time. A luxury brand that has been reluctant to sell online in the past, Prada will now sell via ecommerce sites Net-A-Porter and MyTheresa.com. Whilst Net-A-Porter will begin selling Prada’s runway pieces such as bags and shoes, MyTheresa.com has announced that it will begin selling their ready-to-wear collection in the autumn. Yoox Net-a-porter Group’s CEO, Federico Marchetti, said that Prada was the ultimate brand and that they were honoured to be selling it; before adding that they expected an annual net revenue growth of around 20% by 2020.